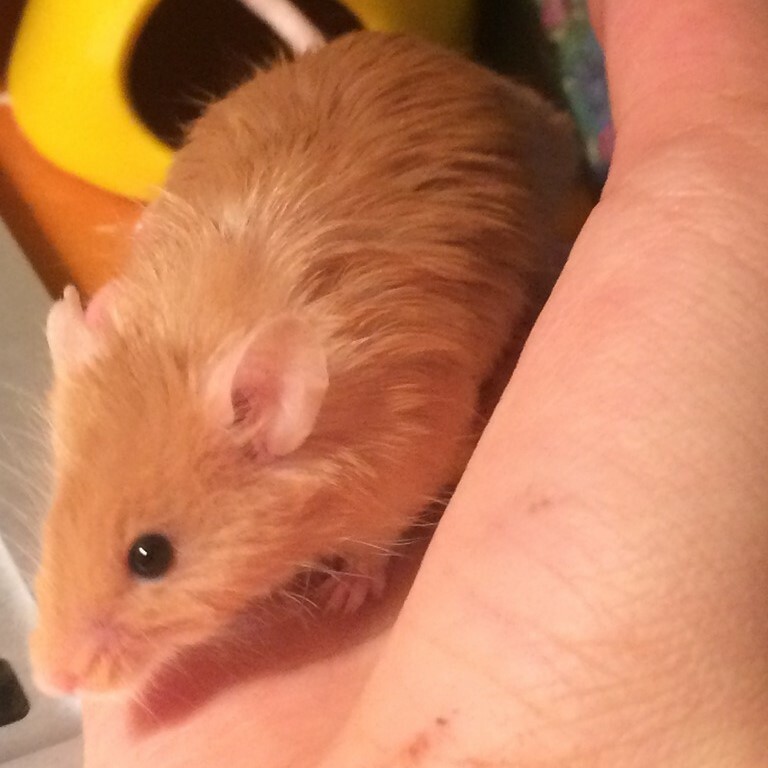 I had your little tiny paws in my life for exactly 13 days, but you already made an imprint on my heart. 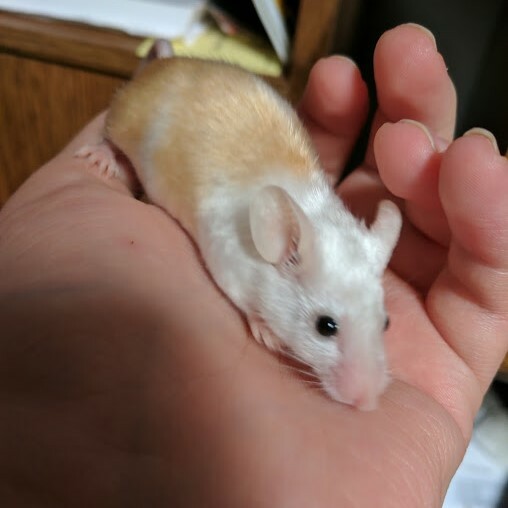 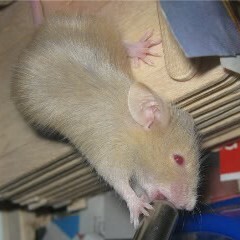 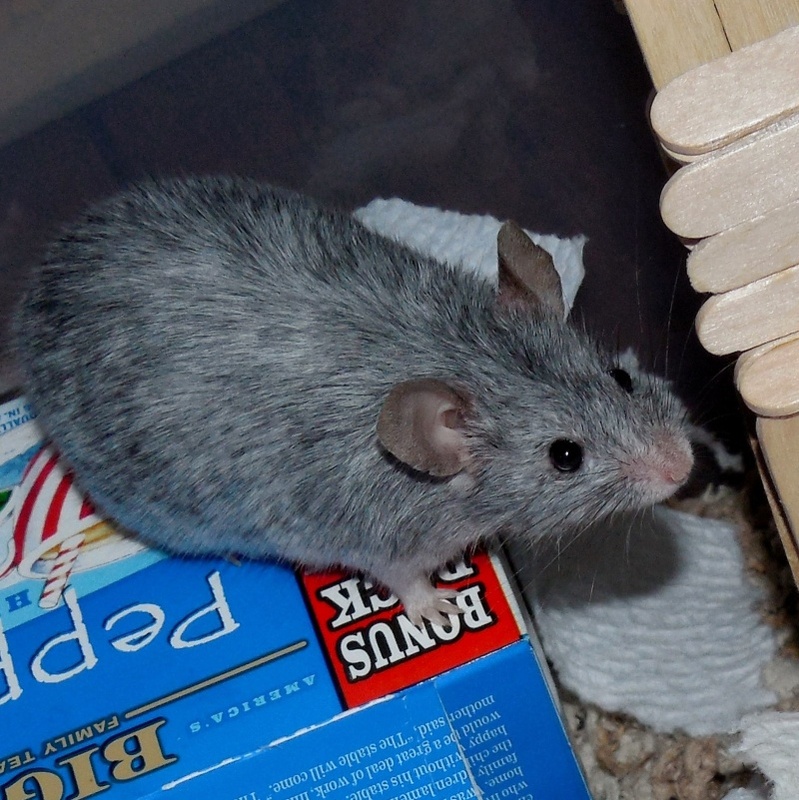 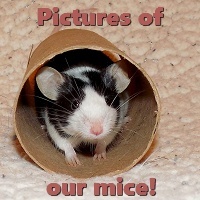 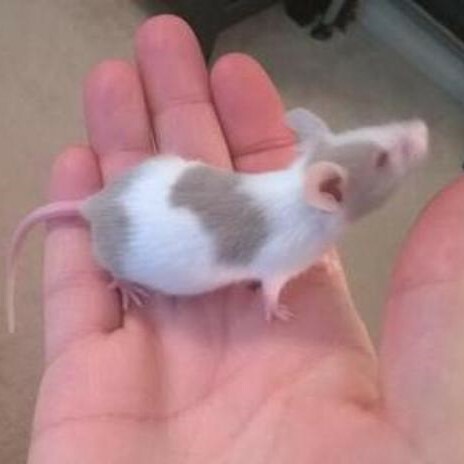 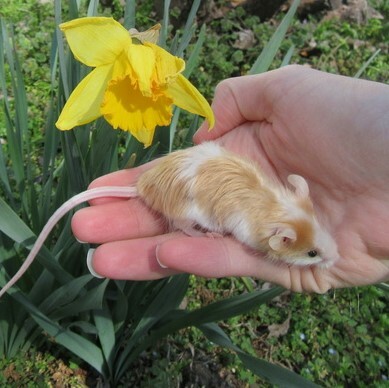 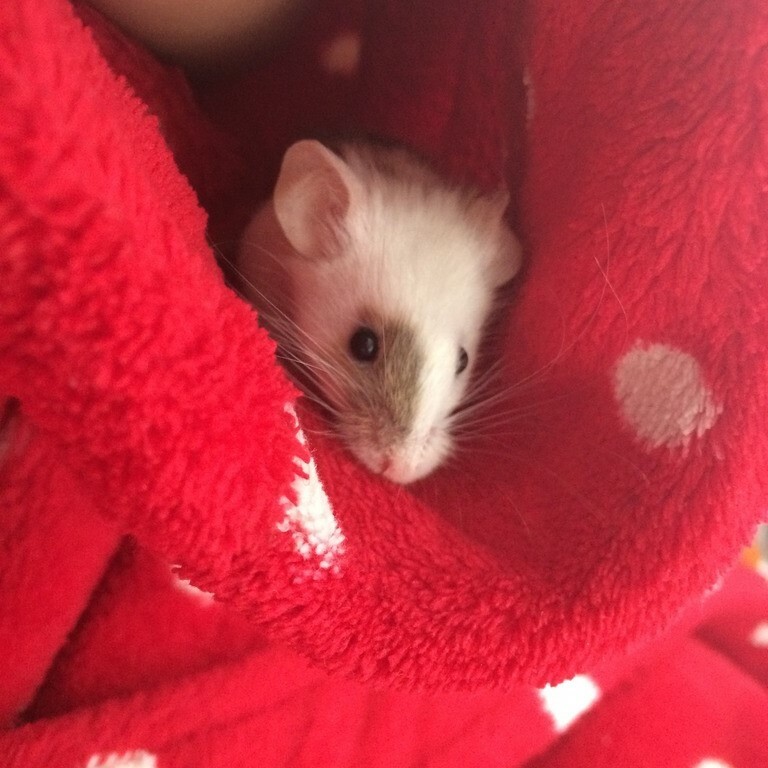 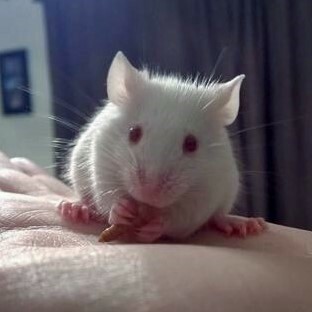 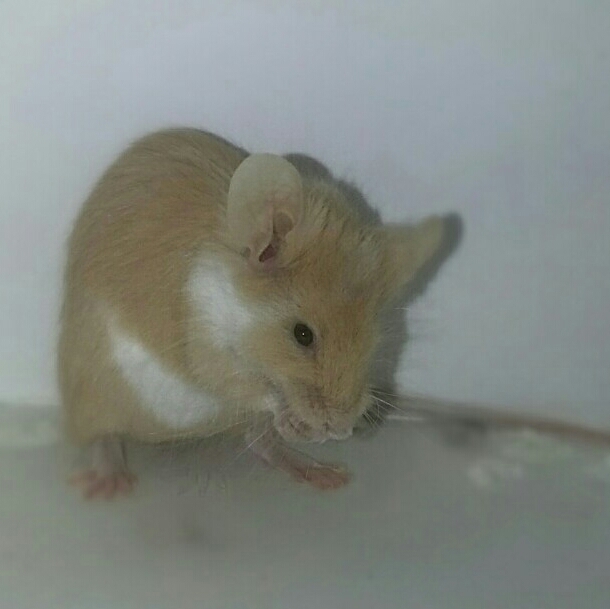 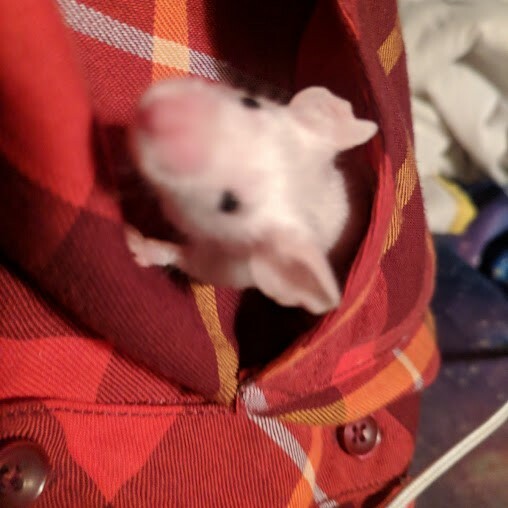 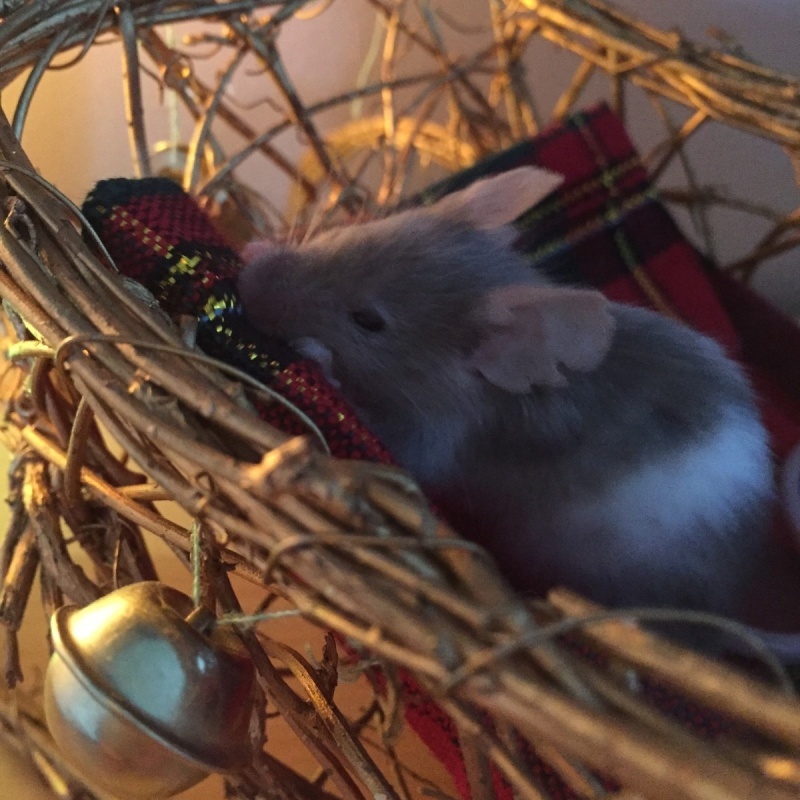 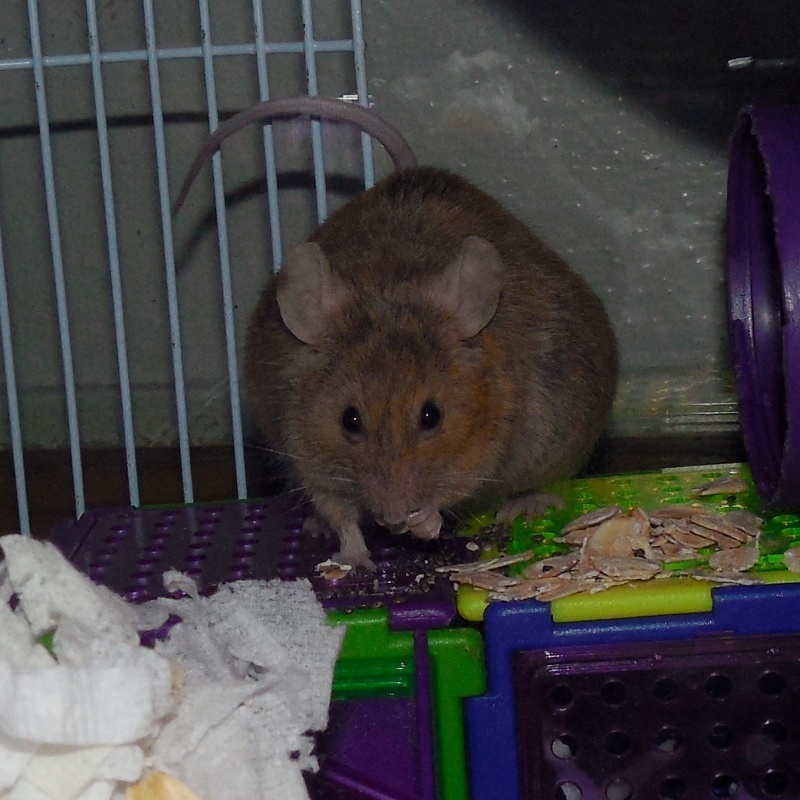 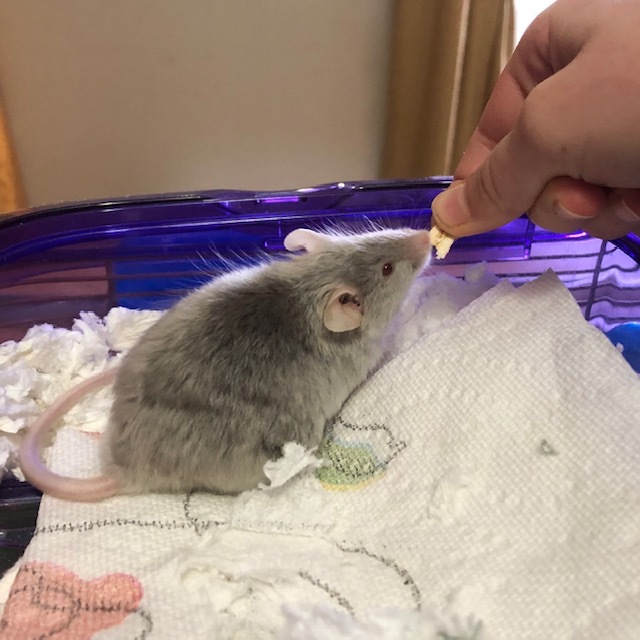 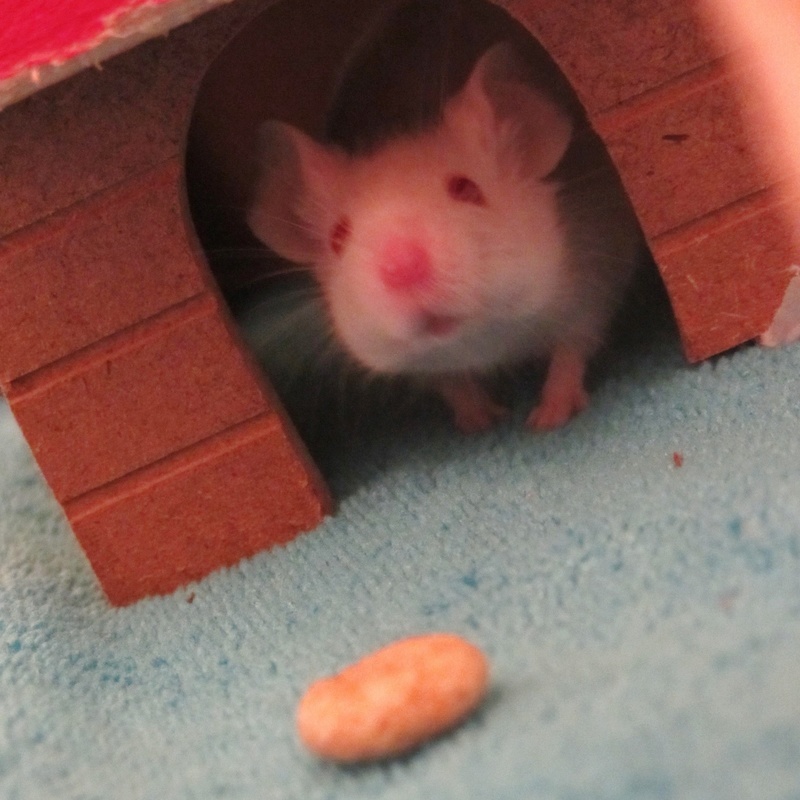 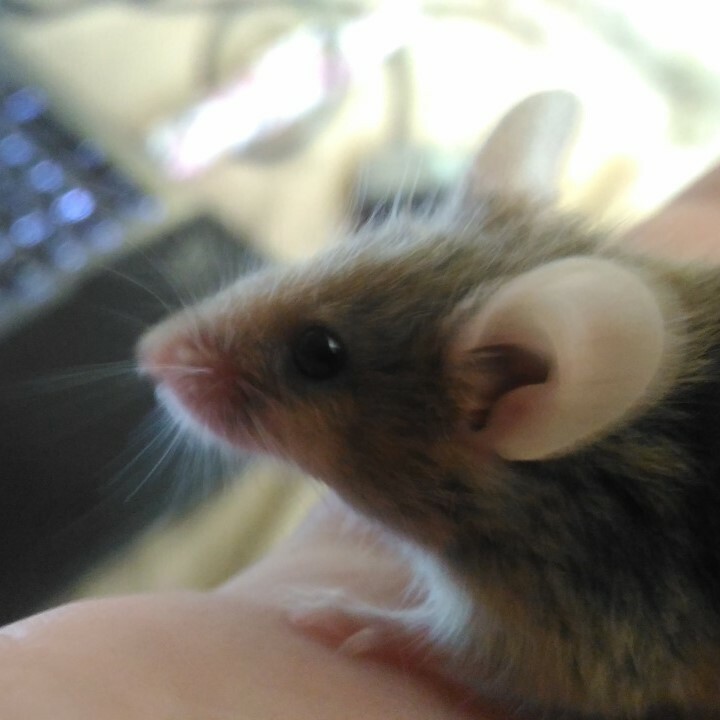 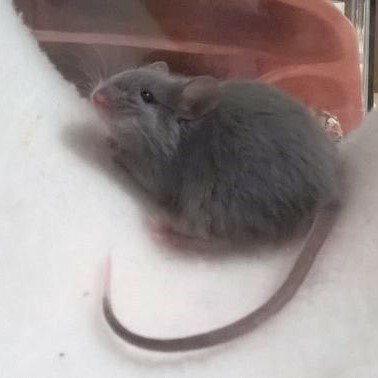 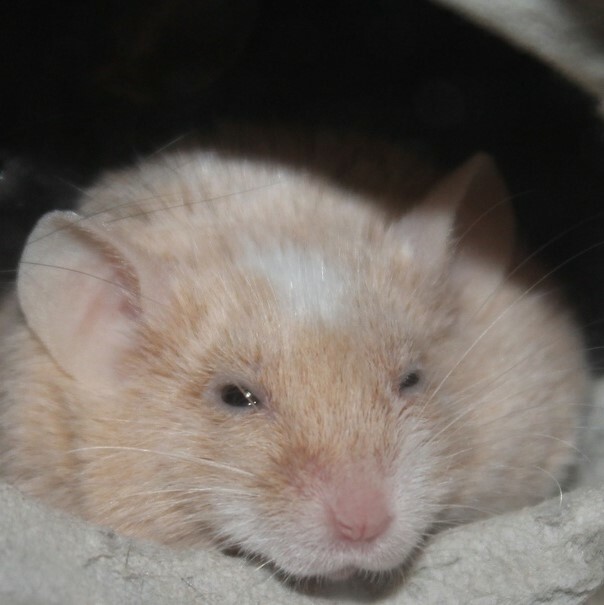 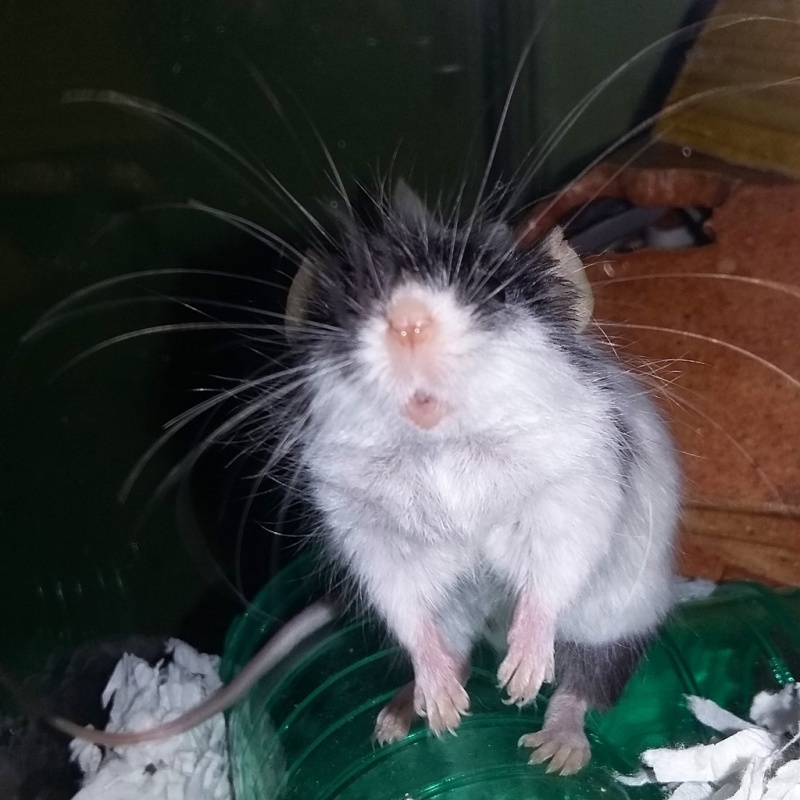 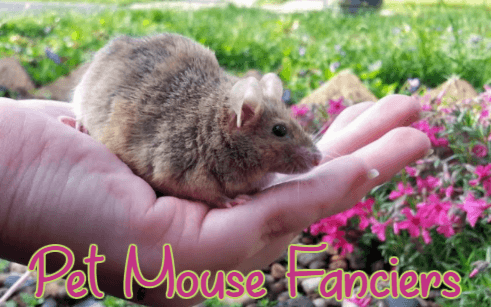 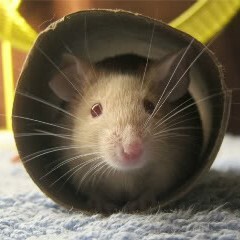 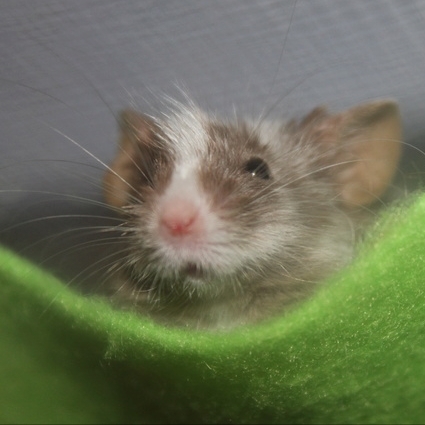 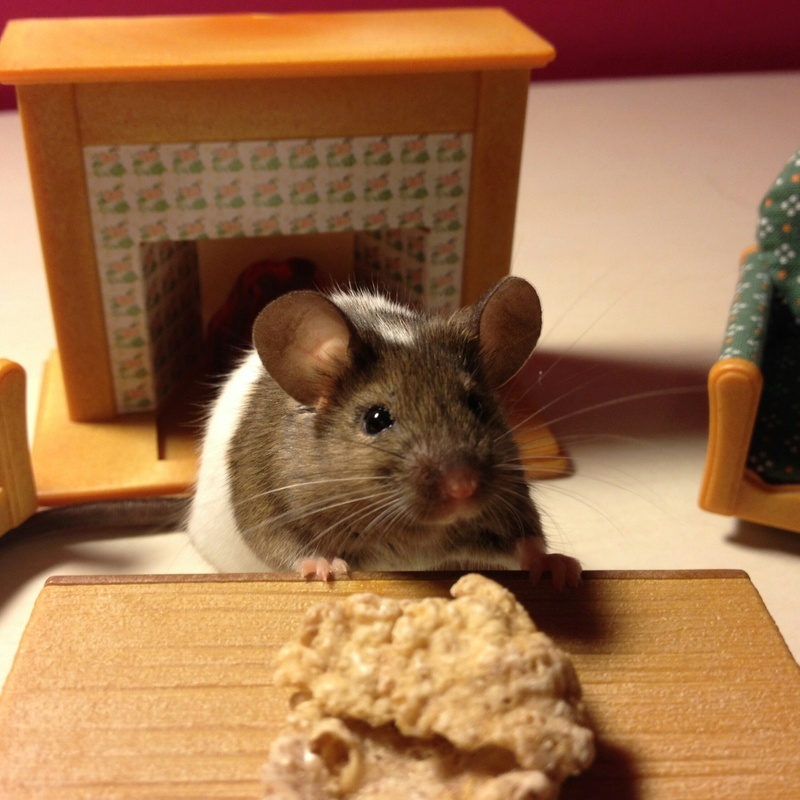 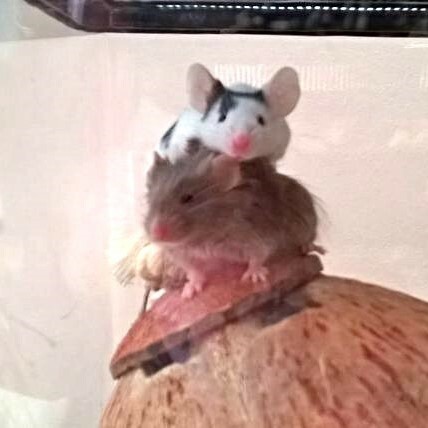 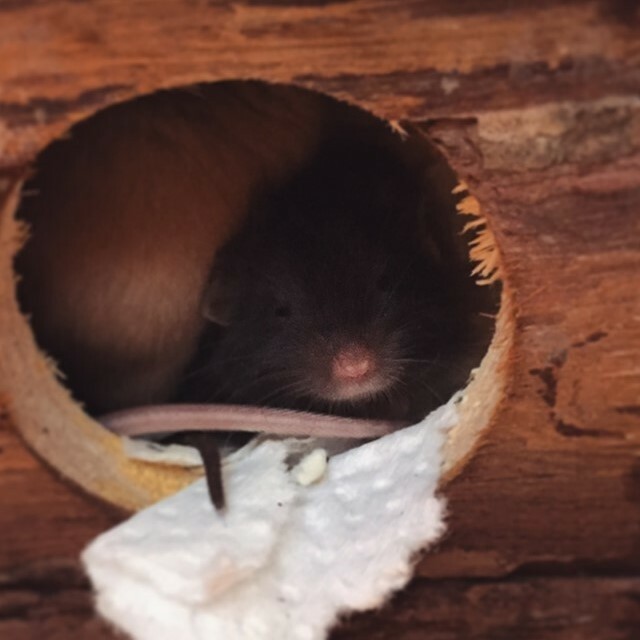 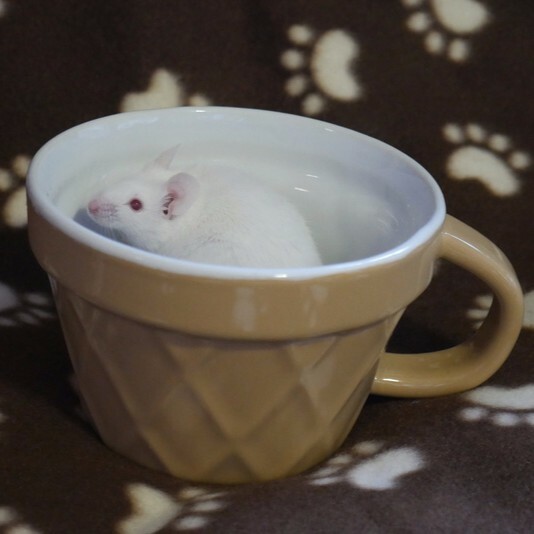 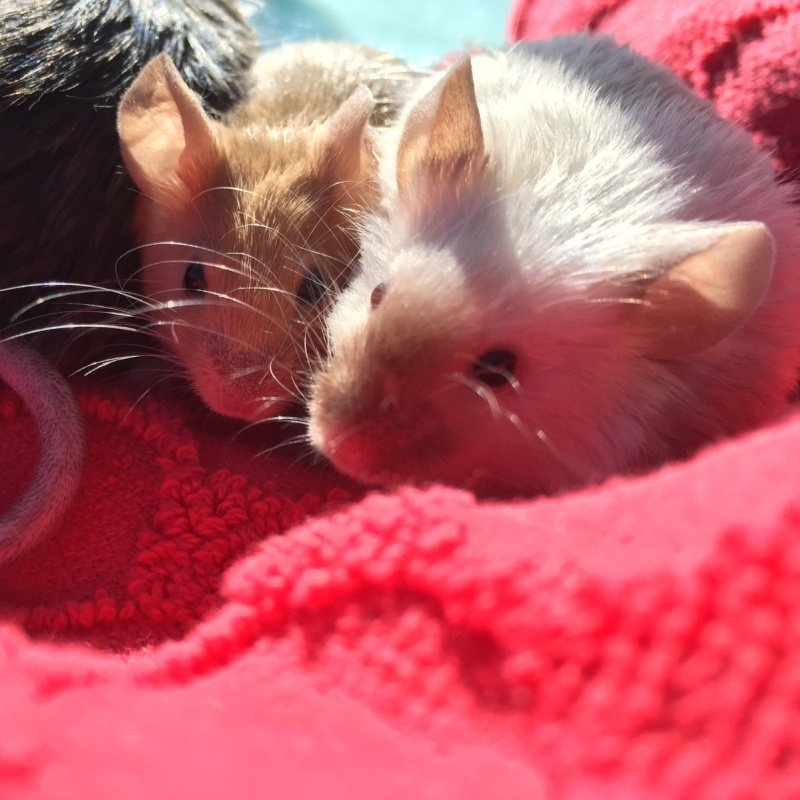 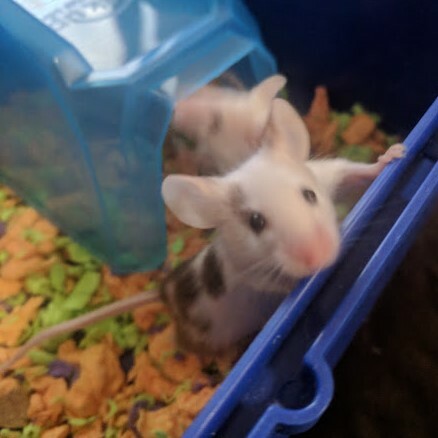 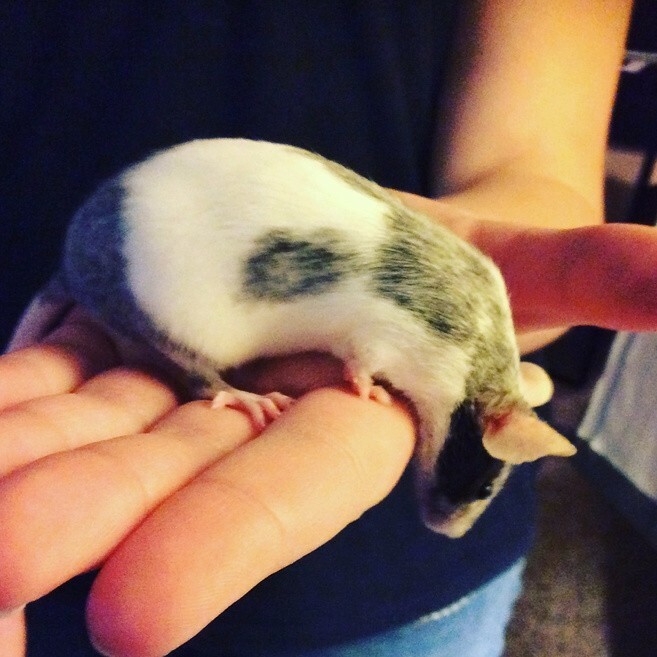 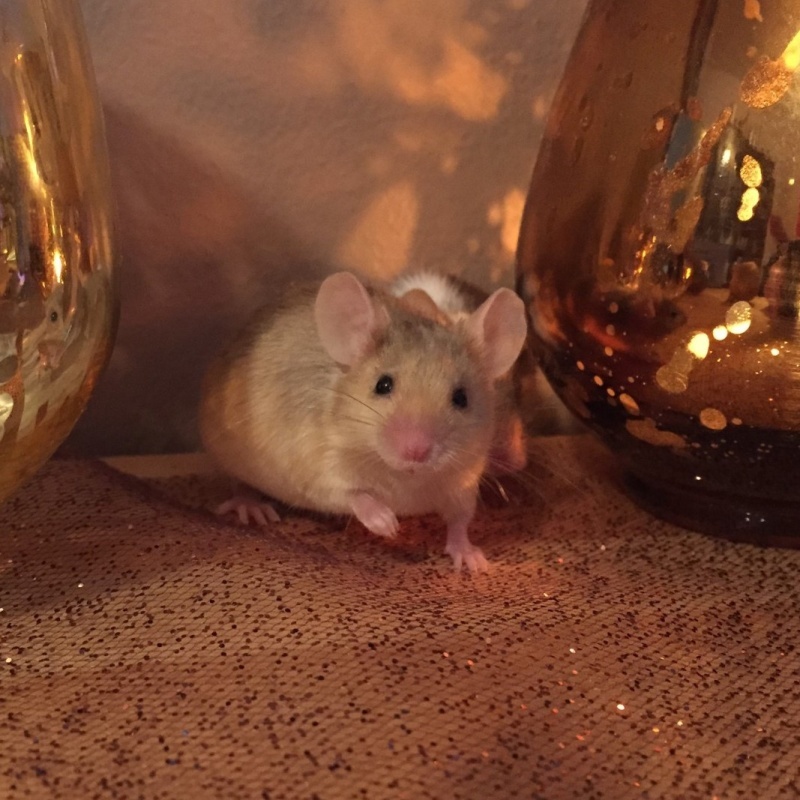 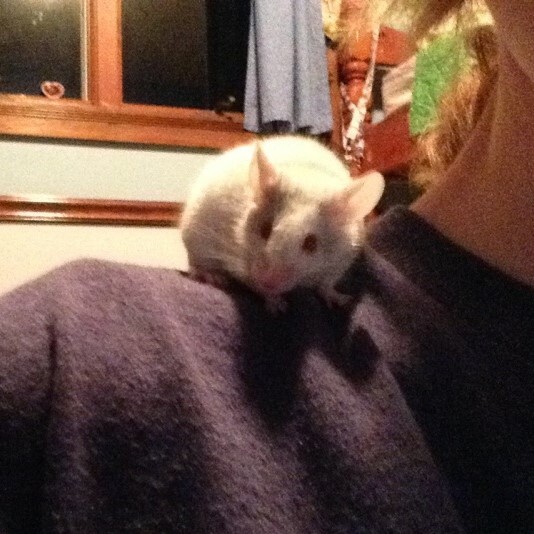 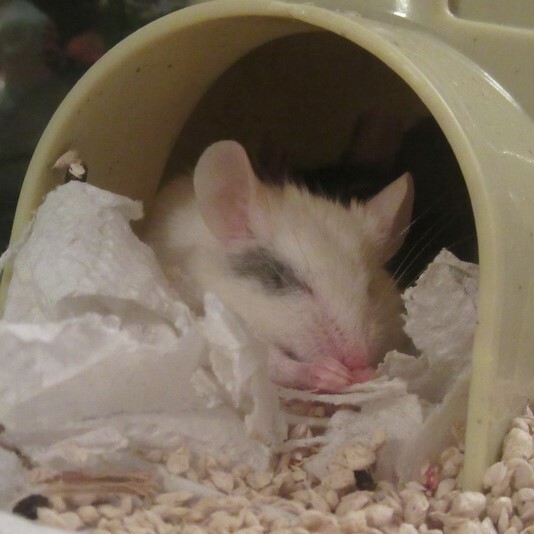 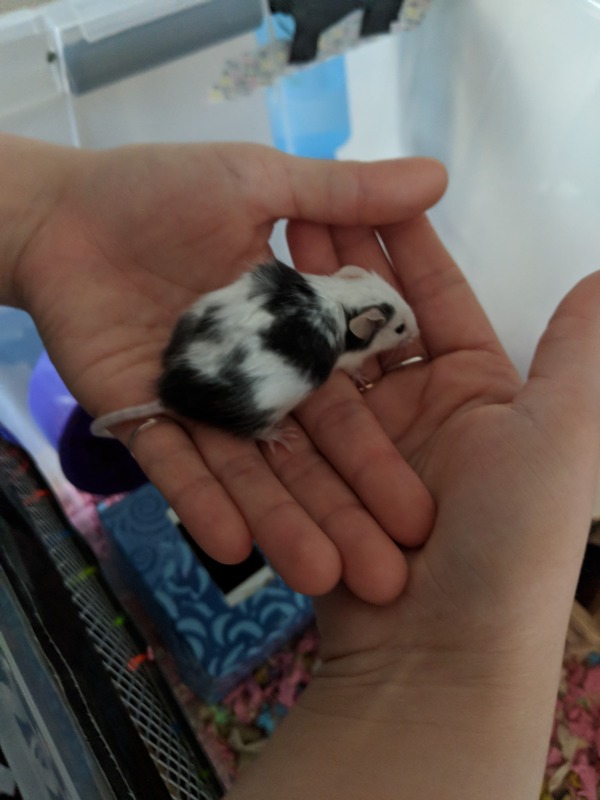 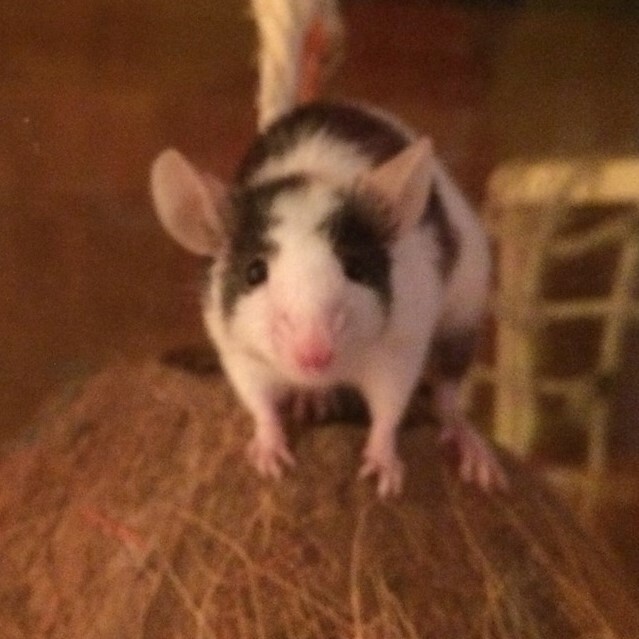 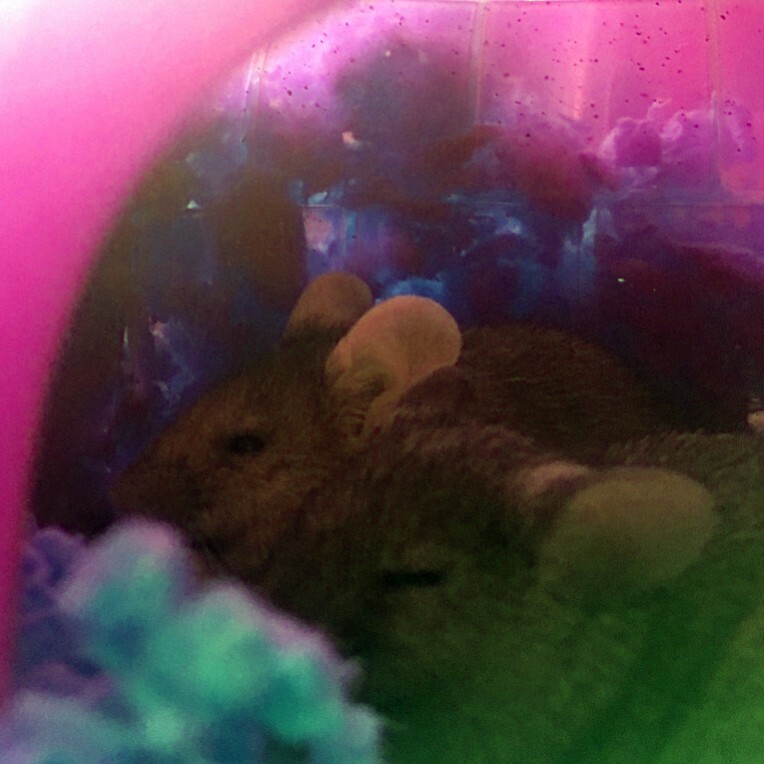 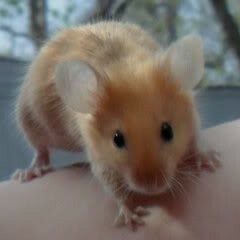 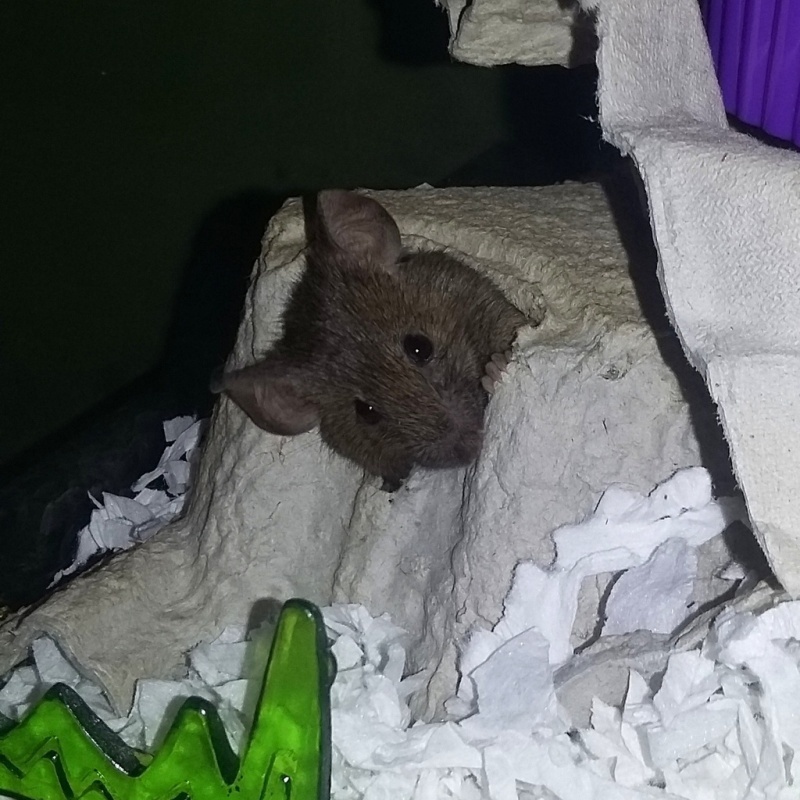 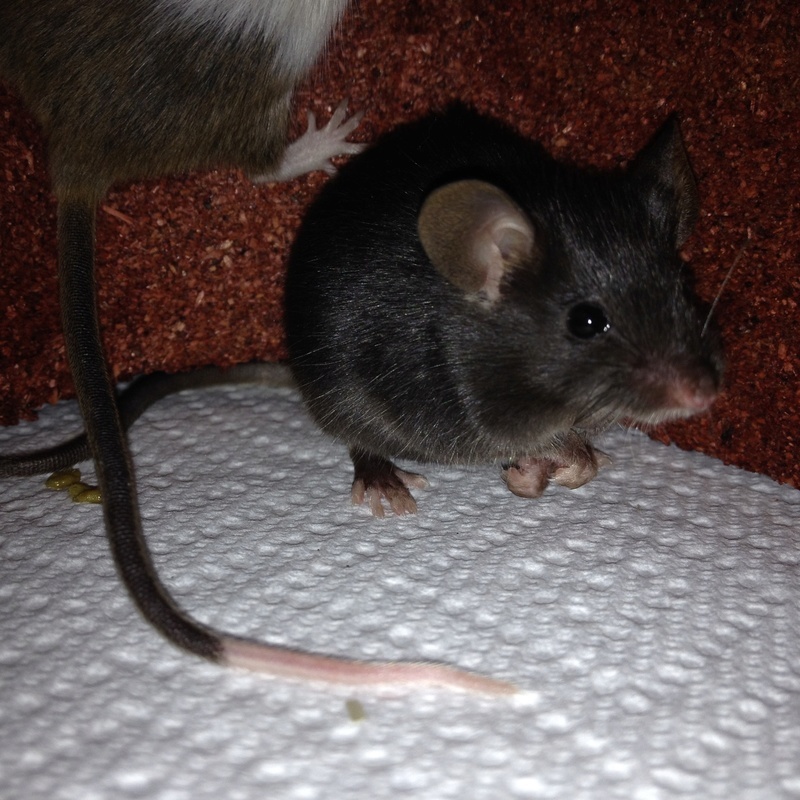 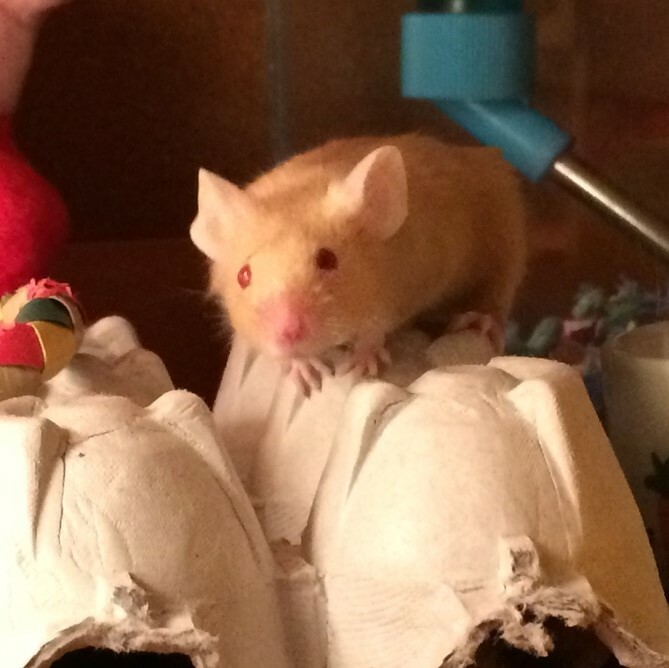 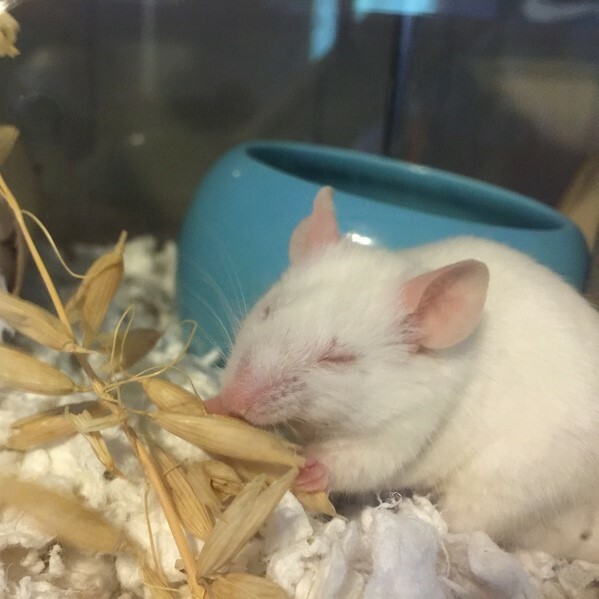 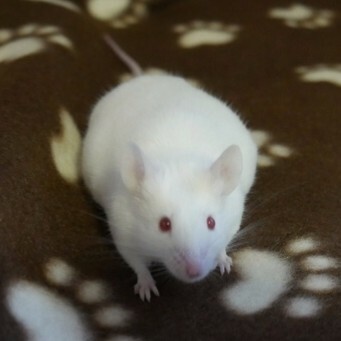 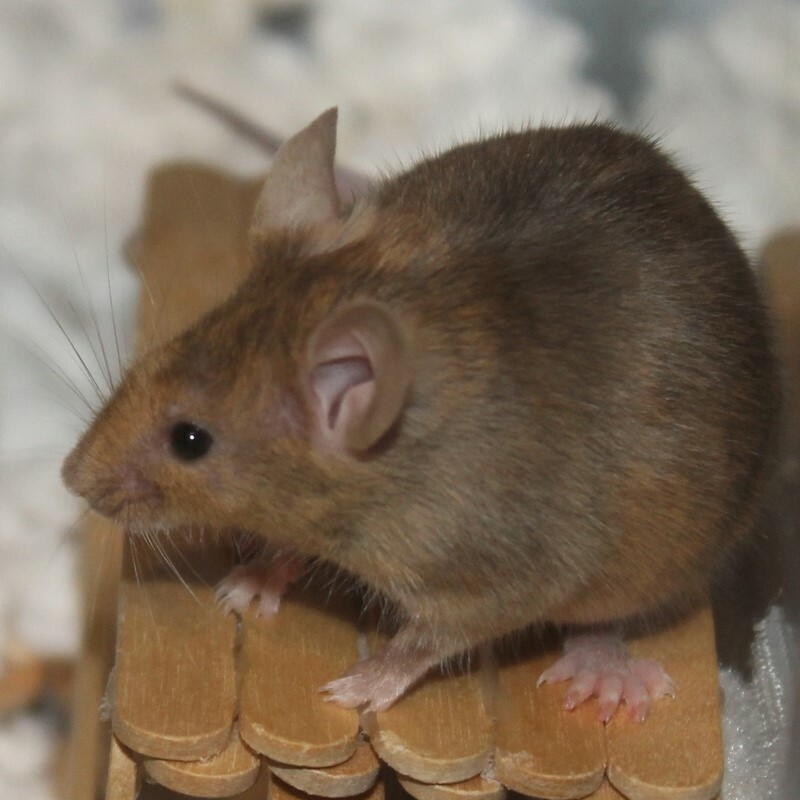 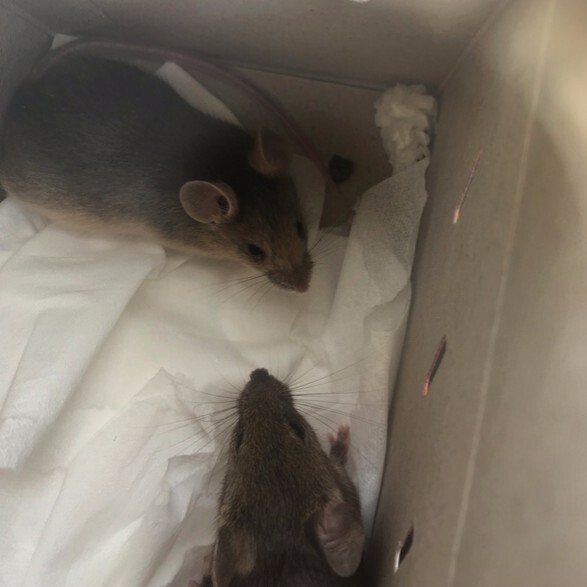 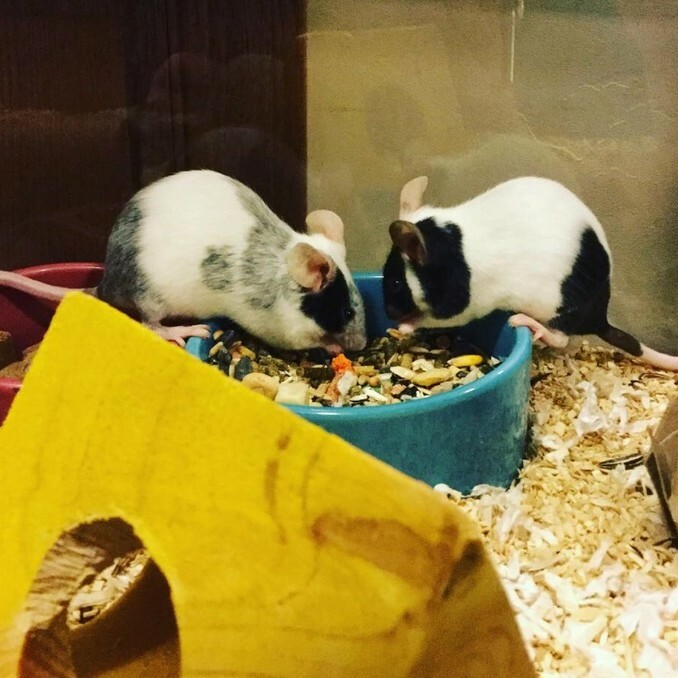 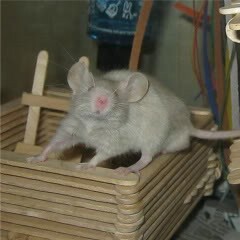 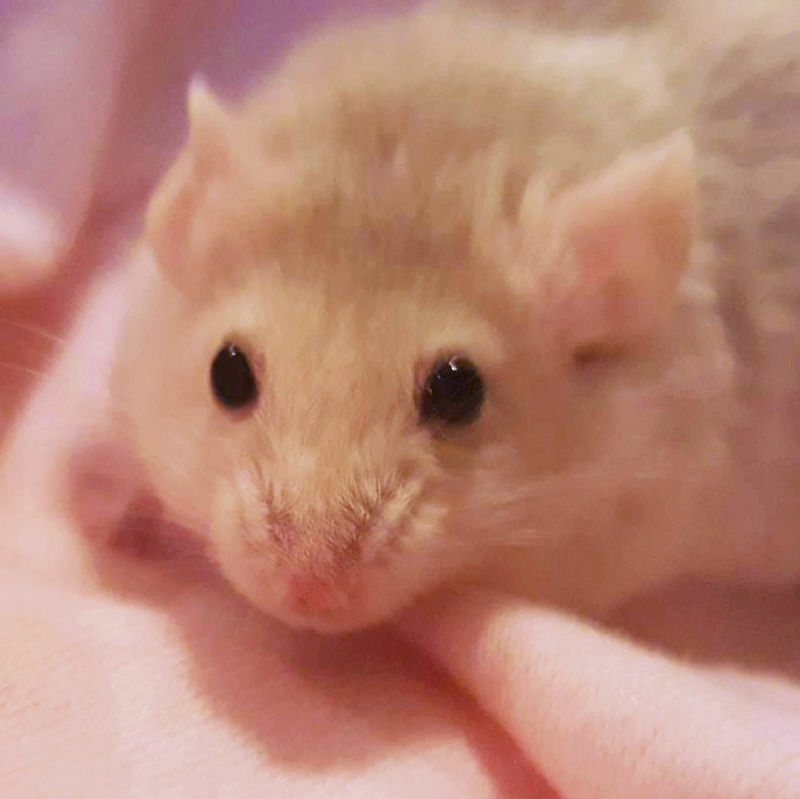 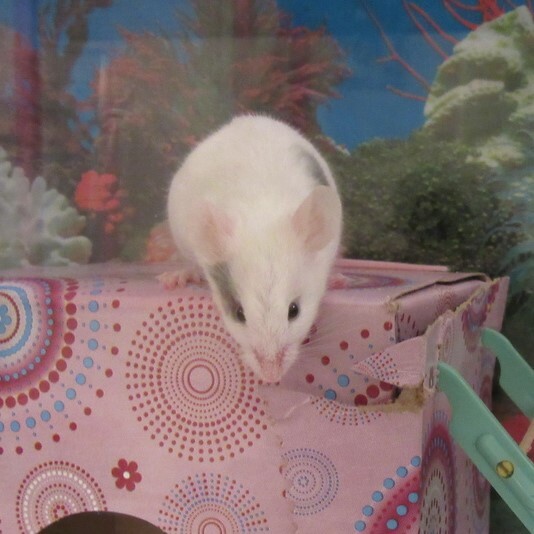 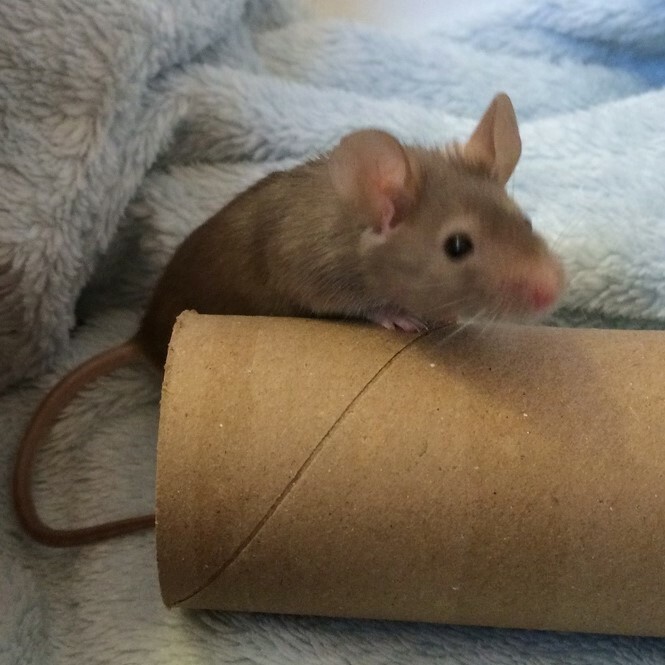 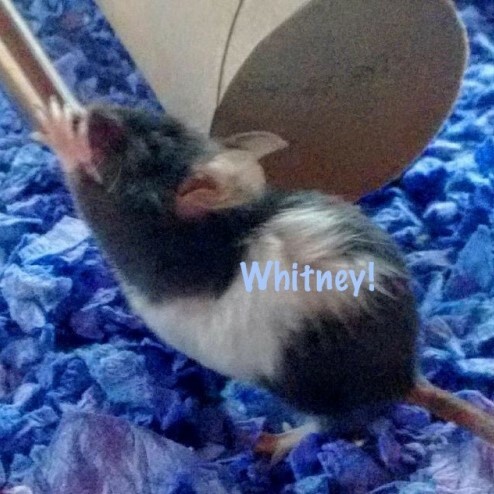 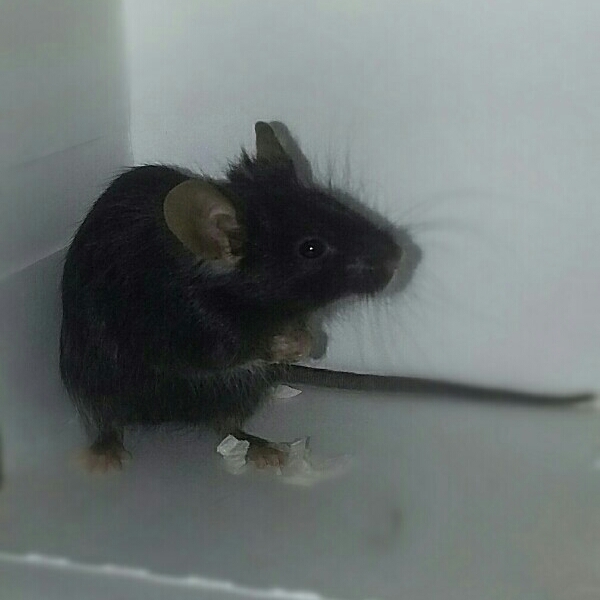 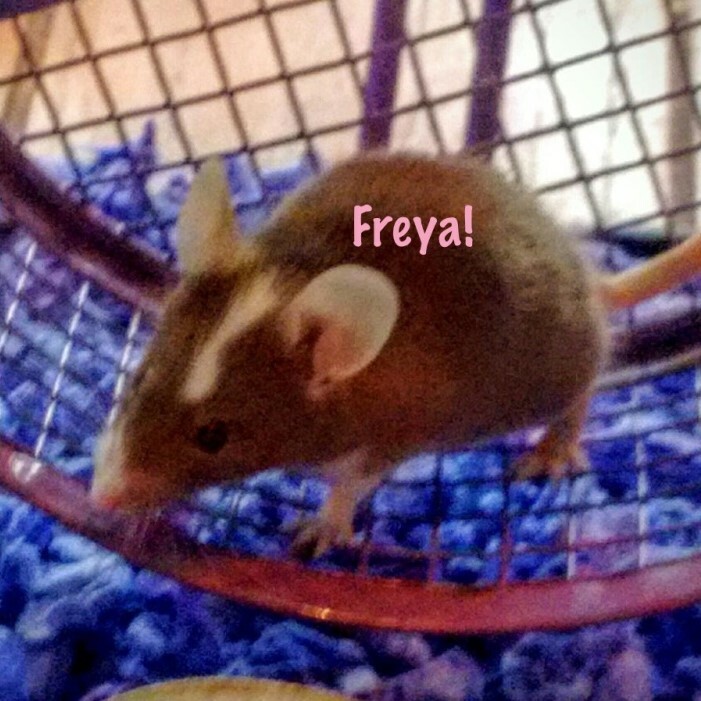 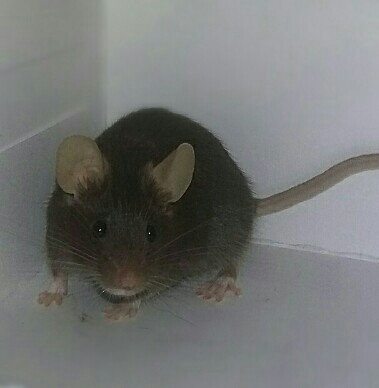 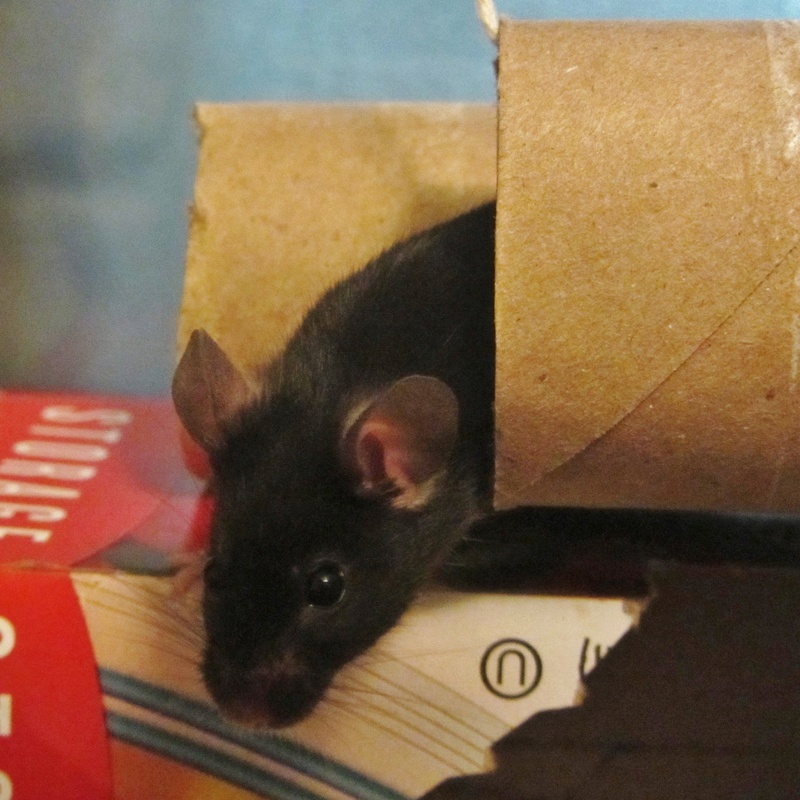 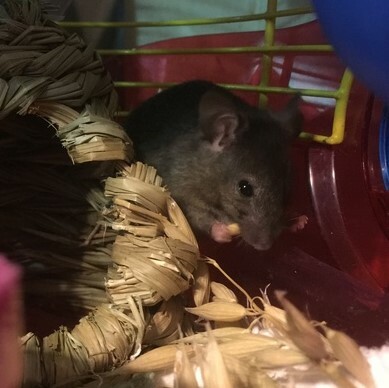 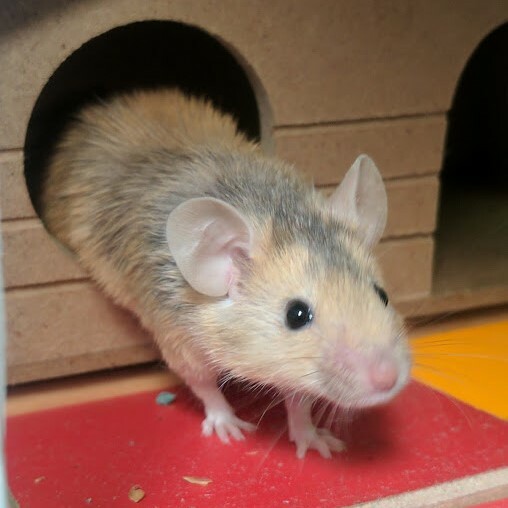 I was so nervous to be a mouse mom, but your little tail and happy disposition made me feel at ease. 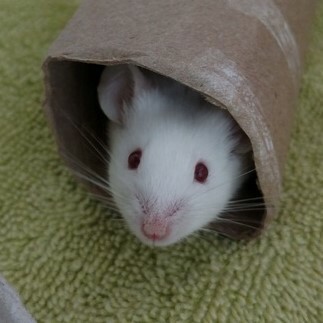 You may have been expecting, you might not have. 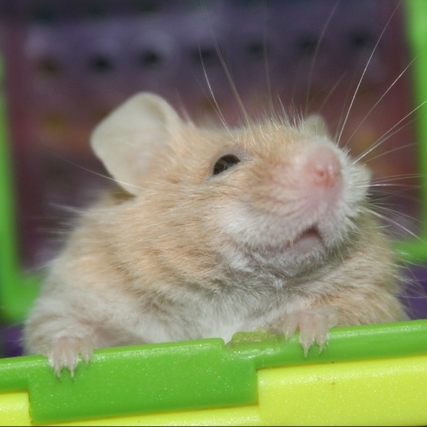 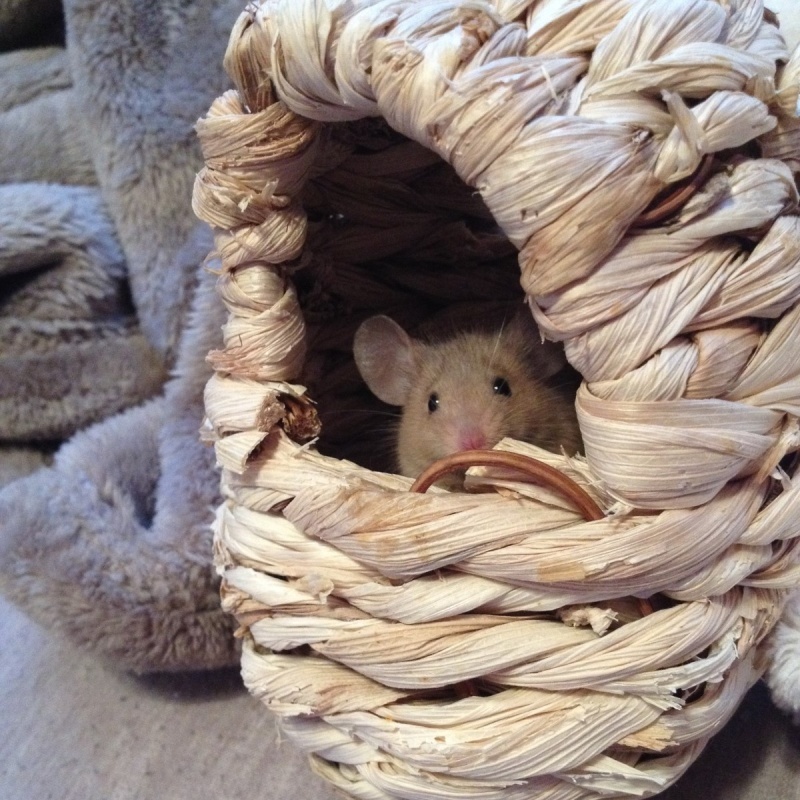 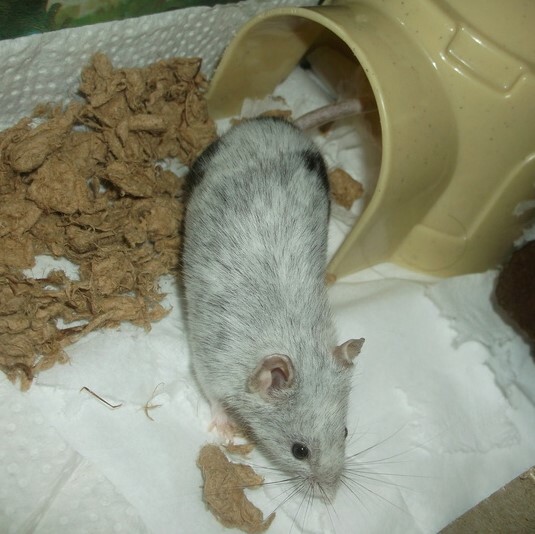 Either way, I loved the little nests you made and how you filled them with sunflower seeds. 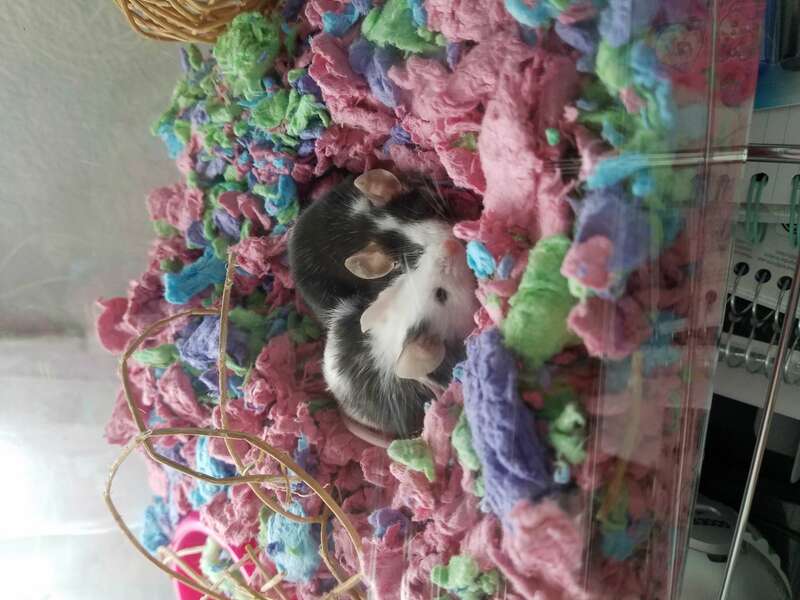 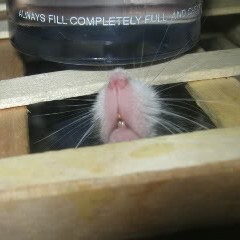 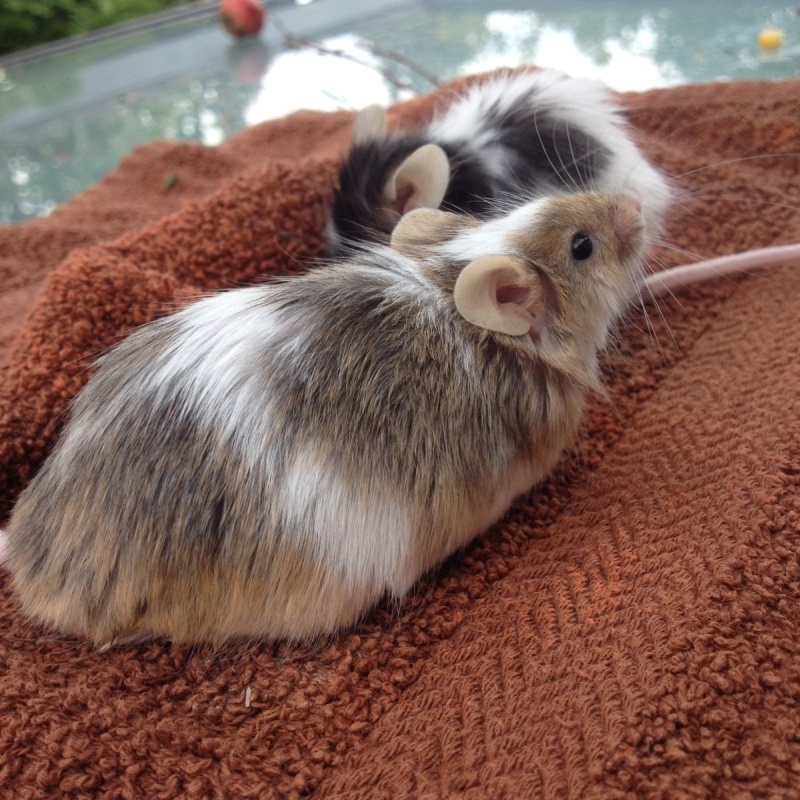 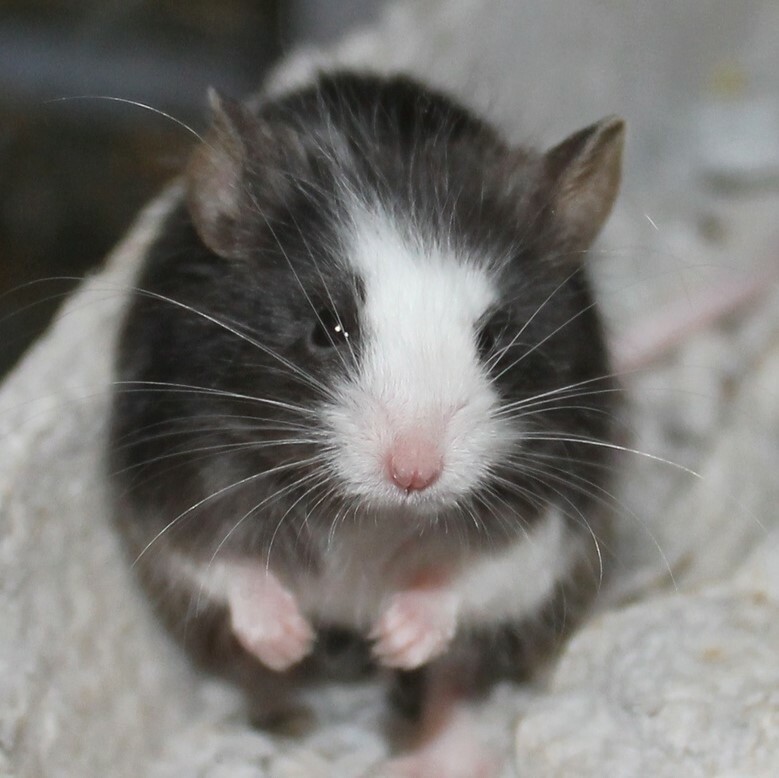 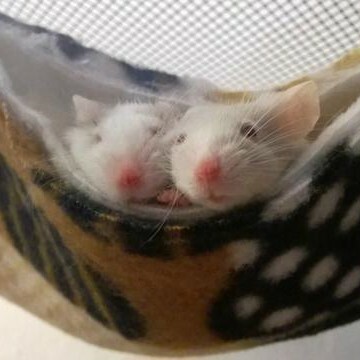 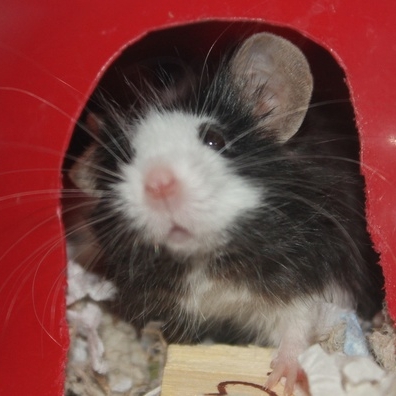 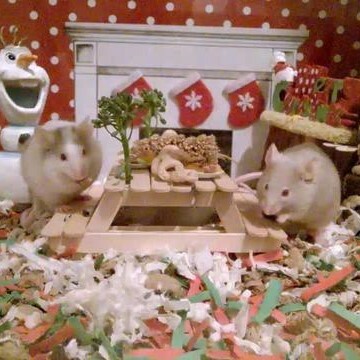 You loved treats, being held, and climbing all over the cage you shared with your sister, Skunk. 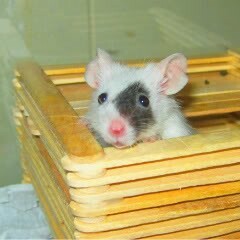 After you left us, Skunk was so sad. 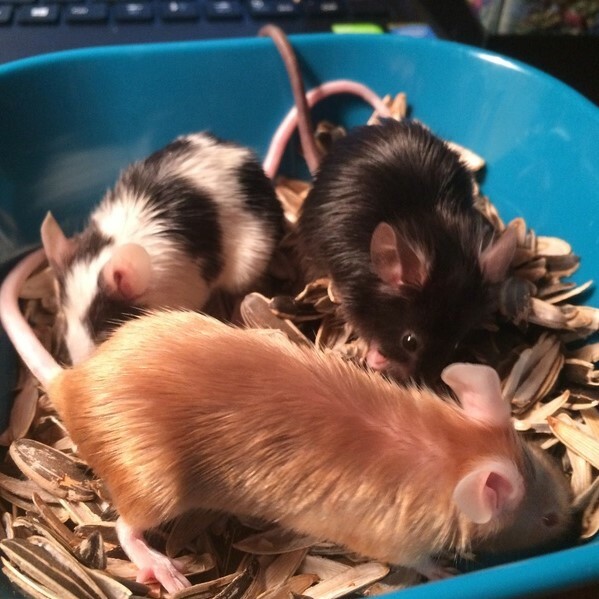 So I made a point to get your other two sisters- I named them Otter and Badger. 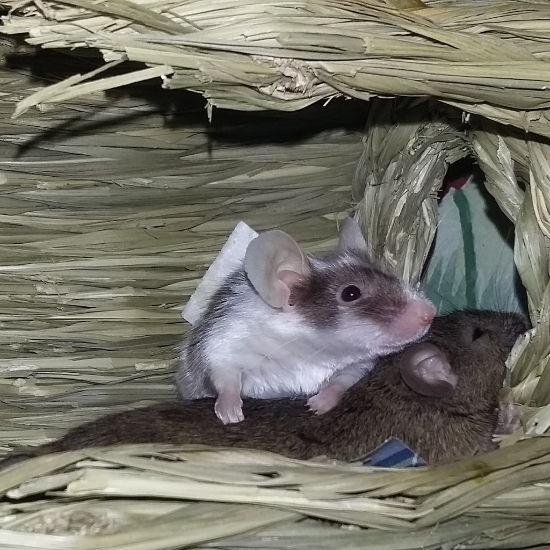 They are enjoying the home you made, and Skunk is happy to have friends again. 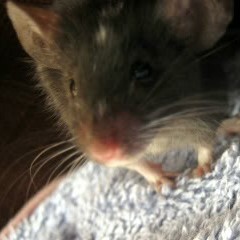 I was sad to see you go, but I know that I gave you the best life while you were here with me. 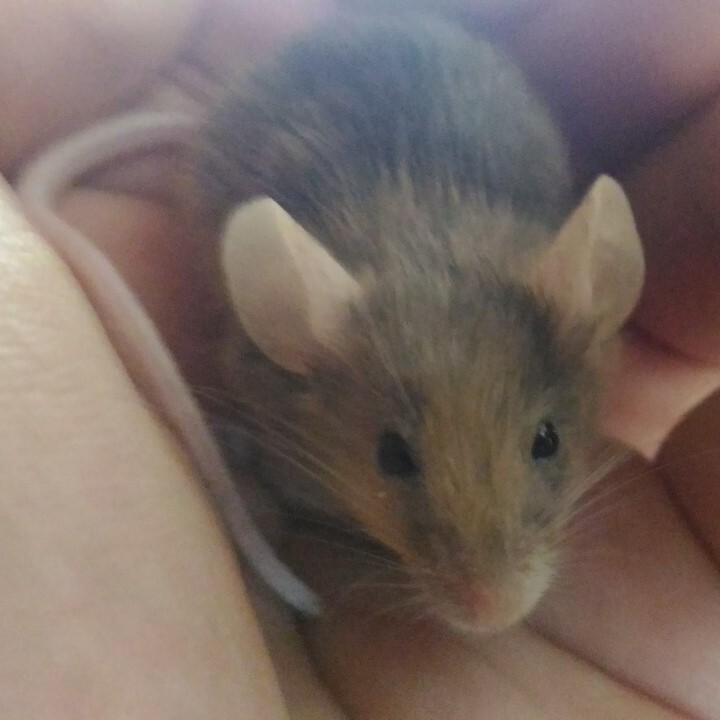 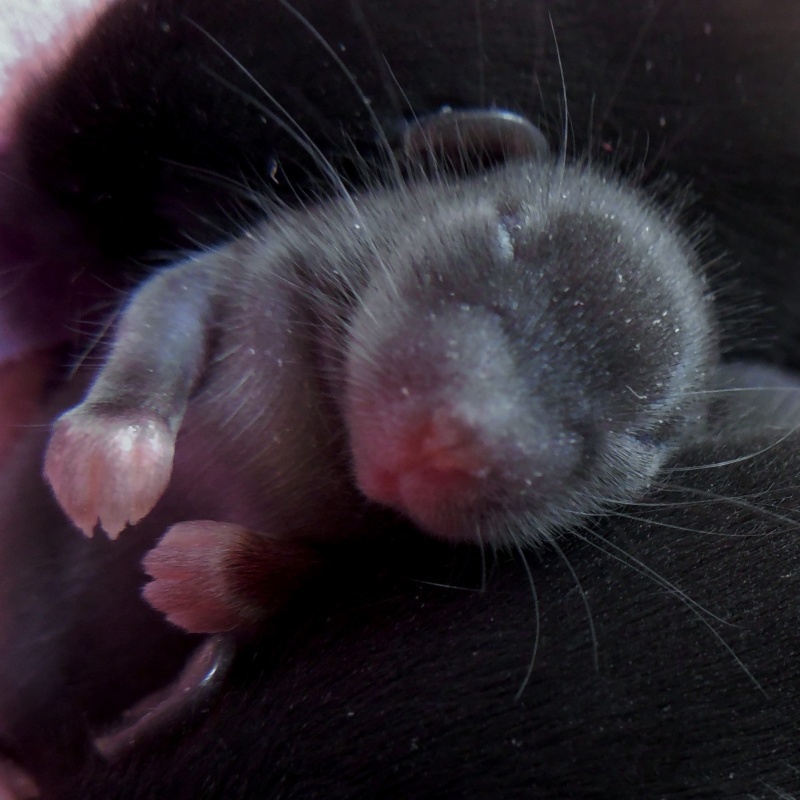 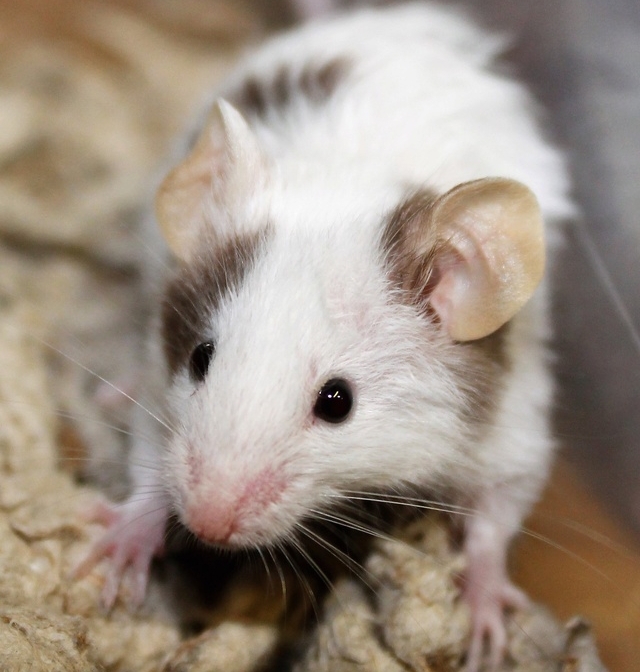 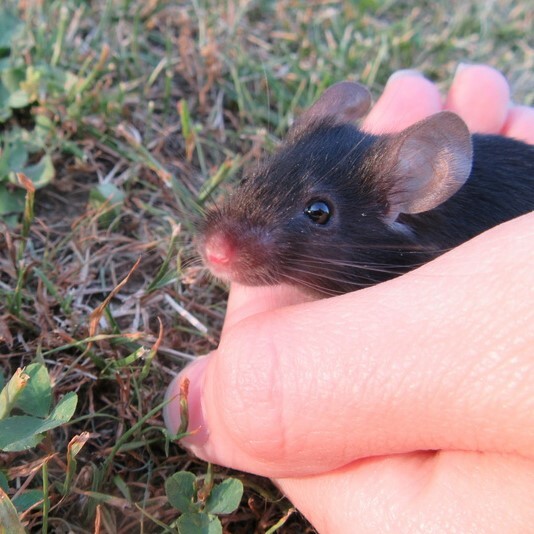 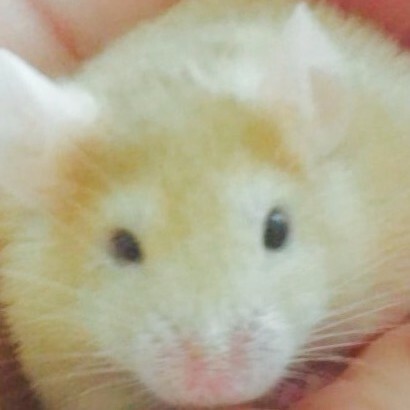 You will always be my first (and maybe favorite) mouse baby. 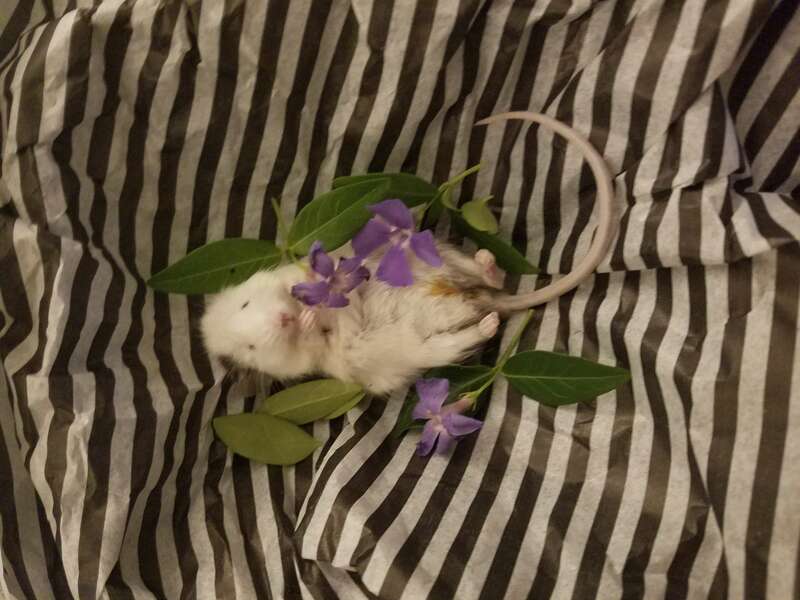 I love you to the moon and back, and we will meet again someday at the edge of the rainbow bridge.